These delicious and savory homemade meatballs are so easy to make and take only 10 minutes to prepare! Meatballs are so versatile, they can be used in any recipe that calls for them. This meatball recipe also freezes well, making meal prep super easy! My whole family loves meatballs! My seven year old has become quite the picky eater in the last year, but no matter how picky she’s feeling, she will always eat meatballs with a smile. 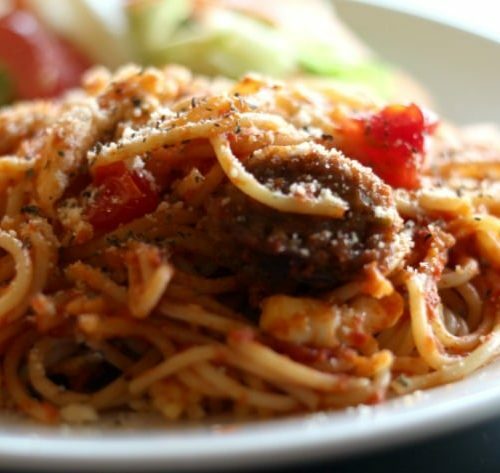 We love to use homemade meatballs in so many different ways – in spaghetti and meatballs, Swedish meatballs, meatball subs… you name it! As convenient as it is to buy frozen meatballs at the store, they can be super expensive. Enter these homemade meatballs! You can make a big batch of these homemade meatballs and freeze them in advance, and they’re just as easy (and twice as delicious!) as the store-bought meatballs. Once you’ve mixed together the meat, spices, and bread crumbs, it’s time to shape your meatballs. 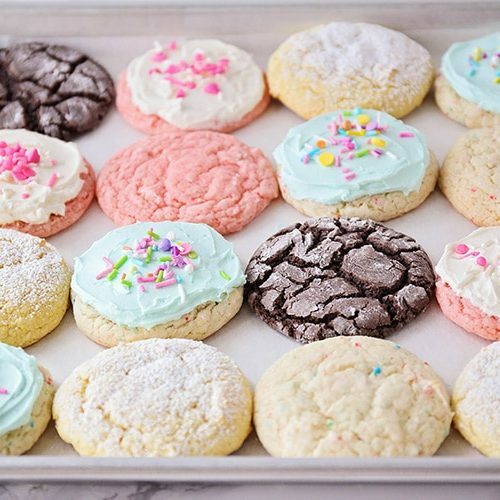 I like to use a cookie scoop to make them all the same size (about one inch in diameter) and then just roll them between my hands to make a nice smooth ball. They will make quite a mess as they bake, so I always line my baking sheet with foil for easy clean-up. 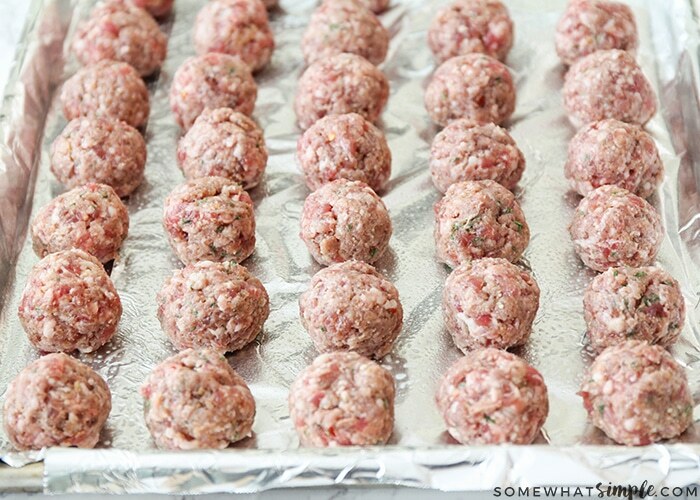 To ensure the meatballs bake evenly, you want to make sure they are all the same size. This is why I use the cookie scoop or a meat baller to measure them. Don’t go too lean on the ground beef. The higher the fat content, the more flavorful and tender the meatballs will be. 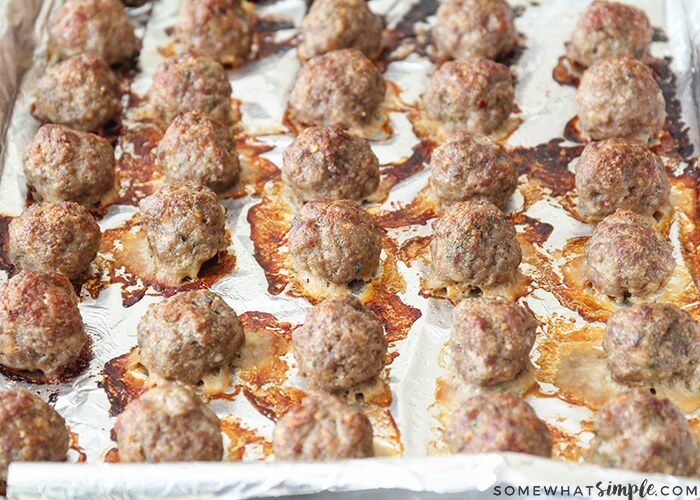 Once you have placed your meatballs on your cookie sheet, it’s time to bake them. 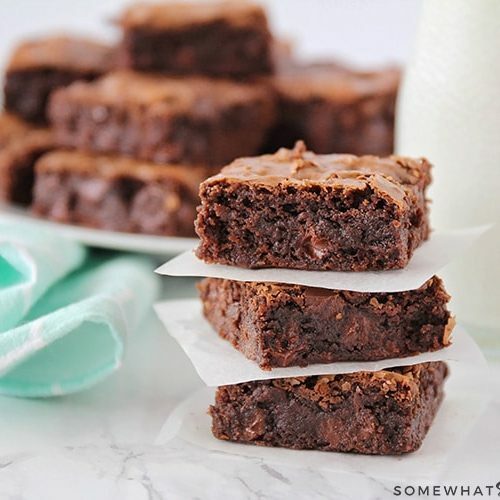 Preheat your oven to 400 degrees F and then bake them for approximately 25 minutes or until they are golden brown. Yes, you can easily freeze this meatball recipe! In fact, I always make an extra batch or two of these meatballs to save and use later. First, let the meatballs completely cool before you add them to an airtight container that is safe to put in the freezer. I usually just add as many meatballs as my family eats for a meal into multiple freezer bags, label it with the date, and then just throw it in the freezer for later. These really are the easiest homemade meatballs you can make – and don’t they look delicious?! Now that you know how to make homemade meatballs, it’s time to put your skills to the test! 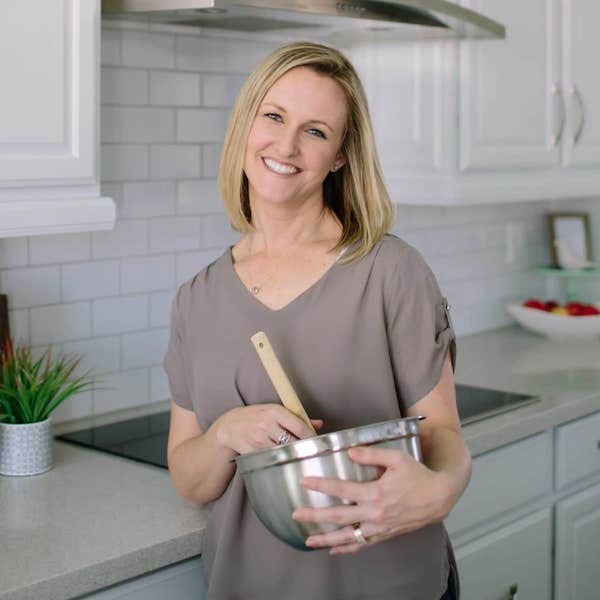 Leave us a comment below and let us know how they turned out and what other fabulous recipes you made using these meatballs. 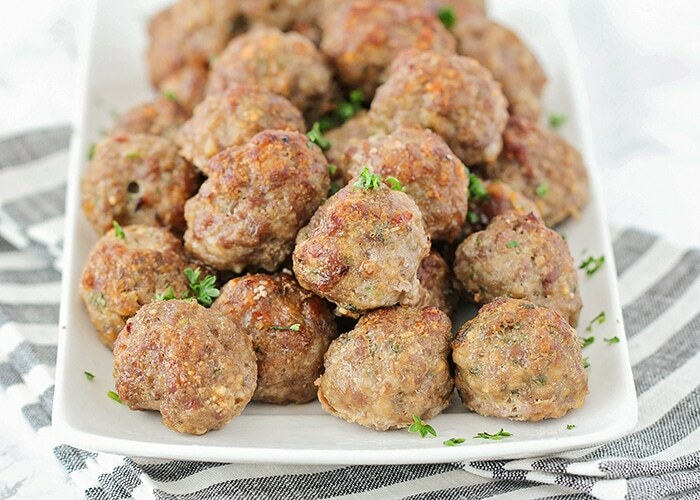 These delicious and savory homemade meatballs are so easy to make, and so versatile! 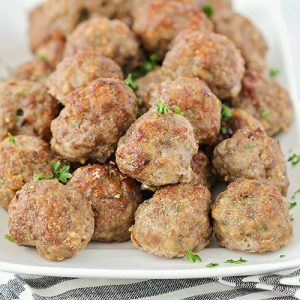 This meatball recipe also freezes well, making meal prep super easy! Preheat the oven to 400. 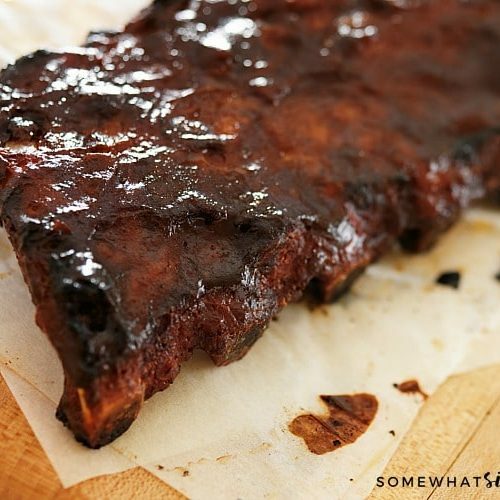 Line a baking sheet with foil and spray with cooking spray, then set aside. 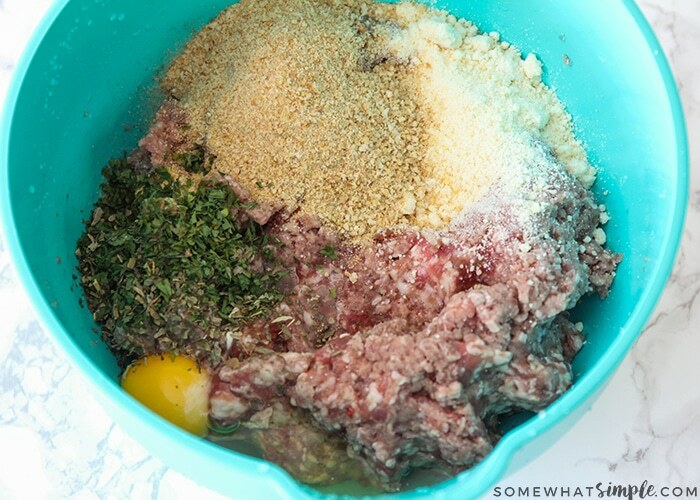 In a large bowl, mix together the beef, pork, bread crumbs, eggs, parmesan, garlic powder, salt, pepper, parsley, and basil, until well combined. Shape the meat mixture into one inch balls, and place on the prepared baking sheet. LOVE stocking my freezer with homemade meatballs! You’re right, they’re so versatile. 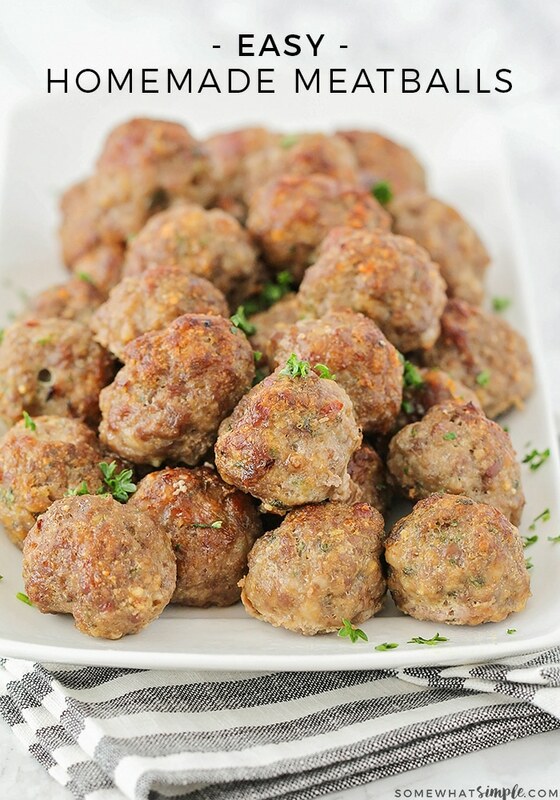 I’m with you, freezing these meatballs and using them later makes life so much easier! The perfect meatball recipe. 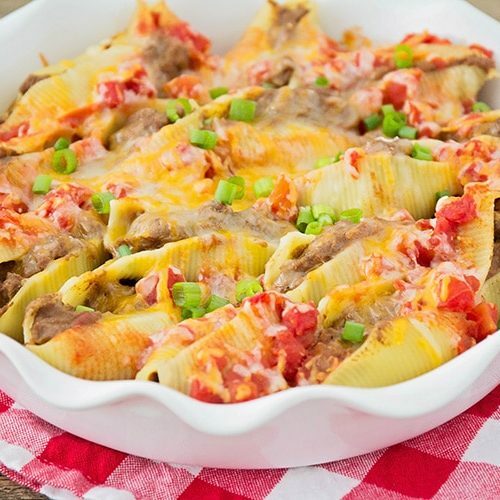 We use this with all our appetizer and dinner meatball recipes. So good. Thanks Aimee, so glad to hear you love them as much as I do! Meatballs are my weakness. 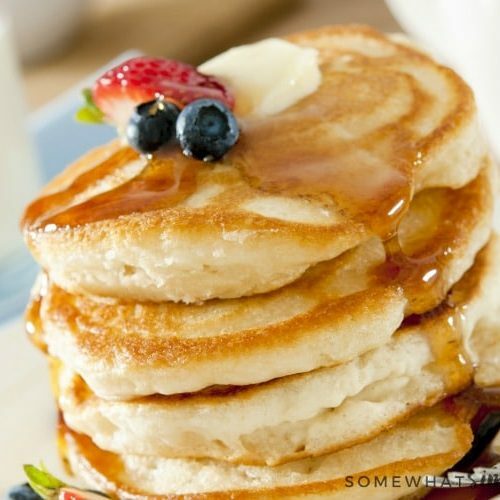 These are absolutely delicious!! 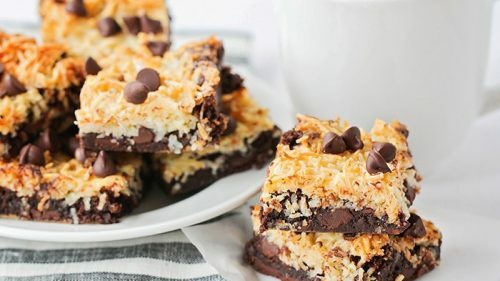 Thanks for the recipe, these are similar to what my mom always made! Thanks Cheryl! 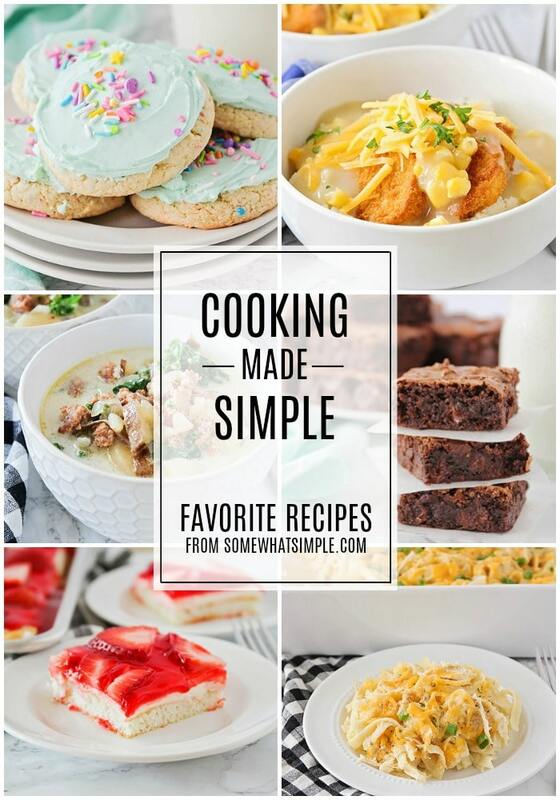 So fun to find recipes that are like the ones you had growing up! Totally pinning these! My kids love homemade meatballs! Thanks for pinning these meatballs Emily!